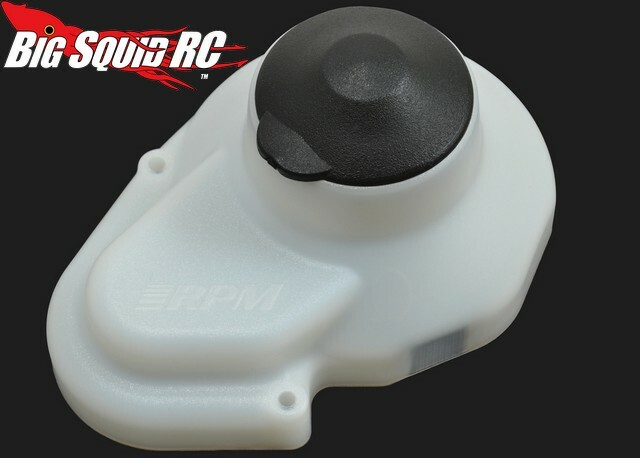 RPM White Gear Cover for Associated RC10, RC10 Classic, & RC10T « Big Squid RC – RC Car and Truck News, Reviews, Videos, and More! RPM did not simply re-release an old part with their Gear Cover for the Associated RC10 Classic, they redesigned it from the ground up. The new gear cover for the RC10 is made from molded plastic, which is more durable than the stock part, and also creates a better seal to help keep dirt from getting into the spur/pinion gear area. RPM also redesigned the gear cover to leave more room for bigger pinions and for a larger VTS slipper clutch. As a final touch, it is only available in retro dyeable white. The part number is #70081, it has a street price of $8, and they start hitting hobby shops in early July. Get full details at This Link over on RPM’s website. Read up on your RPM news at This Link on BigSquidRC.